At the age of five years Manni Pichler started with the accordion. But his heart always belongs to the horizontal keys. As in 1984 the PS-6100 arrived on the market, this instrument and the the legendary DX7 were the first professional toolsm, Manni used to play live on stage. 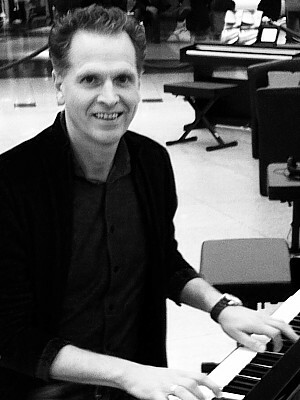 Since 1986 Manni has been demonstrated Yamaha keyboards in Germany and all over the world. A little later he got into contact with the development team for keyboards in Japan. Since then a lot of instruments has been placed on the market. 2002 the Tyros arrived and became the master instrument on the stage of Manni. Now it will be replaced by the Genos. Roman Sterzik, born in 1971, began at the age of six years playing electrical organ, a little later keyboard and piano followed the organ. After his Abitur at high school with art & music, he opened a music school in Nürnberg and after a while another music school. 2004 Roman Sterzik was co-founder of the MusikForum Burgthann e. V.. 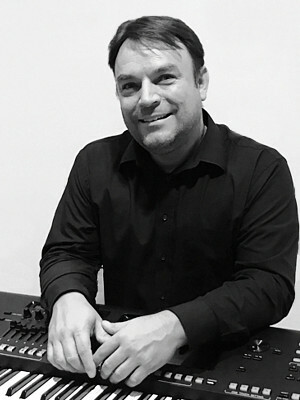 Since 2004 Sterzik has been working for Yamaha, showing keyboards in Europe and Asia. His spectrum contains presentations, workshops and also practical books for new products. Roman have a share in conception und realisation of the "KeyboardClass", an education publishing for making music with keyboards on schools and music schools.